Car accidents are frightening and often dangerous, but motorcycle accidents can have long-term effects on riders. Alleviate the physical, emotional, and financial pain by depending on our Motorcycle Accident Attorney in Garland, TX, when you or a loved one has been injured in an accident. We work diligently to ensure you receive compensation from the responsible party. Our goal is to get you the money you need so you can focus on healing and recuperation. 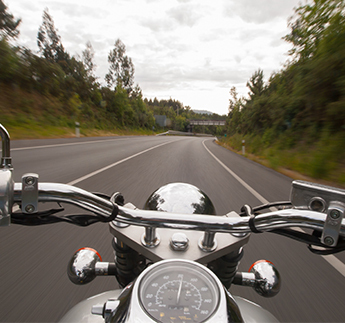 At Williams & Thorson, LLP, we know that life can change in an instant if you're a biker. Even when wearing the proper gear, you usually cannot avoid injuries if you have a motorcycle accident. Representing clients for more than 19 years, our motorcycle accident lawyer is well versed in both the legal and medical aspects involved in motorcycle accidents. We are determined in our stance and provide aggressive representation for our clients. The sooner you contact motorcycle accident attorneys after an accident, the better. When you or a family member has experienced trauma or injury in a motorcycle accident, don't settle with the insurance company or sign anything without consulting us. Sometimes, motorcycle accidents must go to court. As experienced litigators, we have the experience and the knowledge to fight aggressively for you, both in and out of the courtroom. Our motorcycle accident lawyers work with the insurance company to obtain the best settlement. However, if we feel that settlement is too low and unfair, we will continue to fight for you. In addition, because we care about our clients, we never collect a legal fee unless we are successful at winning your case. We understand that you have suffered enough, and we do not want to add to your financial burden. Schedule a free consultation with our motorcycle accident attorney to see how we can help you. Contact us to discuss your case with our compassionate and experienced attorneys. We proudly serve clients throughout Garland, Mesquite, Rockwall, Richardson, and Balch Springs, as well as the DFW Metroplex.